You can play many types of videos on the screen, using mplayer you don't even need to run X and you can script the movies to play using Python. We'll show you how to just play one video for now. The video is 30MB which is a lot if you haven't expanded your SD card yet. Before you do this, run sudo raspi-config to expand the SD card so you don't run out of space! If your video is not sized for 320 wide, you may need to add a -zoom after -framedrop so that it will resize - note that this is quite taxing for the Pi, so it may result in a choppy or mis-synced video! 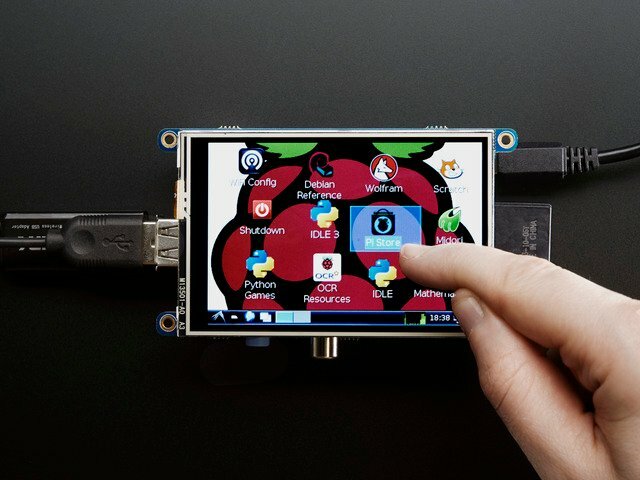 It's possible to play full length videos on the TFT plate, but since the screen is small and the Pi cant use hardware accelleration to play the videos its best to scale them down to 320x240 pixels. This will be easier for the Pi to play and also save you tons of storage space. For this demo, we'll be using the famous Big Buck Bunny video, which is creative commons and also very funny! You can download it from the link above, we'll be using the 720p AVI version. To do the conversion itself, we suggest HandBrake which works great and is open source so it runs on all operating systems! Download and install from the link. Then run the installed application and open up the AVI file from before. The app will pre-fill a bunch of information about it. Click START to begin the conversion, it will take a minute or two. This guide was first published on Sep 17, 2014. It was last updated on Sep 17, 2014. This page (Playing Videos) was last updated on Apr 23, 2019. See what's in the radio waves around you using software-defined radio and a Raspberry Pi! An exploration of network communication from the shell using Pygame and the PiTFT. 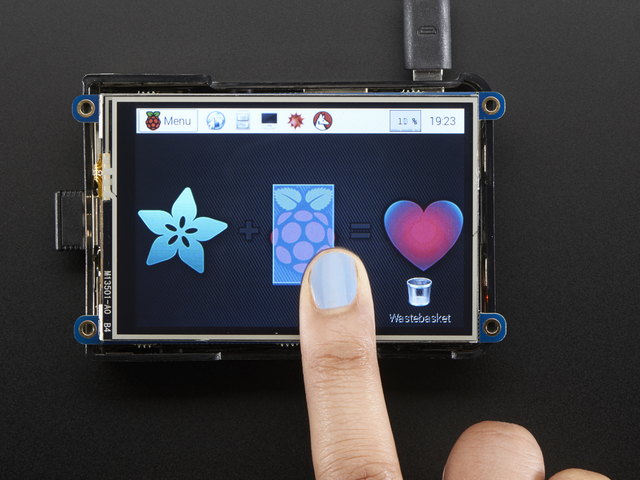 Install Kali Linux on your Pi, and add a kernel that supports Adafruit's PiTFT display.